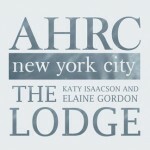 Formerly known as Harriman Lodge; the AHRC Katy Isaacson & Elaine Gordon Lodge is an innovative summer resort for adults with mild to moderate developmental disabilities. Activities at The Lodge include horseback riding, swimming, photography, creative arts, music, sports, video making, drama and many more, we strive to provide a true vacation experience in a safe, non-restrictive environment. Whether you are a guest or future staff member, The Lodge is a unique place to grow and experience the most amazing summer of your life. The surrounding mountains, private lake and natural splendor create the perfect atmosphere.